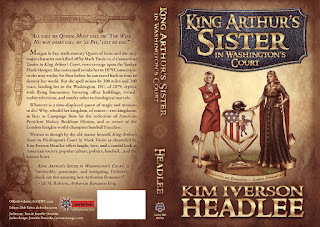 King Arthur's Sister in Washington's Court. HELLO AND WELCOME to my page of personal appearances. Please introduce yourself; I love chatting with my fans, fans-to-be, and authors of all stripes! Many exciting events are brewing on my horizon! I will fill in more details (dates, times, addresses, panel titles, web sites, etc.) as they become confirmed. At each event I will be selling as well as signing my books unless otherwise noted. 9–10 November: Myrtle Beach Mythical & Medieval Fest, RH Acres, 3809 Socastee Blvd, Myrtle Beach, SC. This is a nonprofit, rain-or-shine event, so please don't let the wet stuff deter you! The featured charity, Caleb's Dragonfly Dreams, supports children residing in shelters or group homes who have been abused, abandoned, or neglected. 27 October: BW Country Store "Meet the Author" book signing, noon – 4 p.m., Big Walker Lookout, Wytheville, VA.
26 October: NRCC Comic-Con, New River Community College, Edwards Hall, 5251 State Rd 373, Dublin, VA: vendor table. 19 October: Dragon Festival, 9 a.m. – 6 p.m., Virginia Museum of Natural History, 21 Starling Avenue, Martinsville, VA: vendor table. 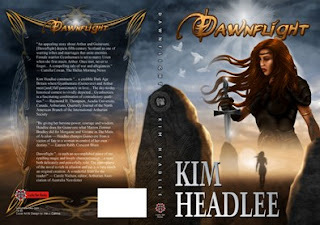 6 October: Connecticut Renaissance Faire, "Meet Author Kim Headlee" book signing and sale, 1 – 3 p.m., 122 Mack Rd, Lebanon, CT. Come celebrate Time Travelers Weekend with me; huzzah! 21 September: BW Country Store "Meet the Author" book signing, noon – 4 p.m., Big Walker Lookout, Wytheville, VA.
14 September: Olde Salem Days, Main Street, Salem, VA. My booth—one among 500 vendors—will be located at 121 West Main Street, toward the center of the event. 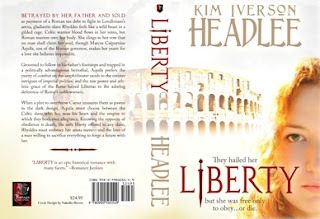 12 September: 4:30 – 6:00 p.m. Business of Writing presentation and book signing, Galax-Carroll Regional Library, 610 West Stuart Drive, Galax, VA.
31 Aug–2 Sep: Maryland Renaissance Festival, "Meet Author Kim Iverson Headlee" special book signing, 11 a.m. – 5 p.m. each day of Labor Day Weekend, 1821 Crownsville Rd, Annapolis, MD. Come celebrate my return as an author-guest of the Page After Page Bookstore of Crownsville, MD after an absence of nigh on two decades. Huzzah! 24 August: BW Country Store "Meet the Author" book signing, noon – 4 p.m., Big Walker Lookout, Wytheville, VA.
3–4 August: Big Lick Comic-Con, 10 a.m. – 6 p.m. Saturday; noon – 5 p.m. Sunday, The Berglund Center, 710 Williamson Road, Roanoke, VA. Now a two-day event! 26–28 July: US 21 Road Market, a 110-mile, multistate yard sale from Wytheville, VA to Harmony, NC. My booth is in the same spot as last year: outside the Lakes to Florida Grill, Rt. 21, Wytheville, VA, an approved rest stop with ATM. 12–14 July: Vendor table in the Maryland Hallway at Shore Leave, Delta Hunt Valley by Marriott, 245 Shawan Rd., Hunt Valley, MD 21031. Hours: 2-8 p.m. Friday, 10 a.m. - 6 p.m. Saturday, 10 a.m. - 4 p.m. Sunday. Program participation TBA. 6 July: BW Country Store "Meet the Author" book signing, noon – 4 p.m., Big Walker Lookout, Wytheville, VA.
noon – 6:00 p.m. Sunday; Elizabeth Brown Memorial Park, 250 S 4th St, Wytheville, VA.
24–27 May: BaltiCon science fiction/fantasy convention, Renaissance Baltimore Harborplace Hotel, 202 East Pratt Street, Baltimore, MD. Dealer table and guest author. Program participation TBA. 18 May: BW Country Store "Meet the Author" book signing, noon – 4 p.m., Big Walker Lookout, Wytheville, VA.
25–27 April: Better Living Show trade and craft show, 5:30 – 7:30 p.m Thursday, 10 a.m. – 8 p.m. Friday, and 10 a.m. – 6 p.m. Saturday, Brushfork Armory, 2915 Old Bramwell Rd, Bluefield, WV 24701. 13 April: Appalachian Festival, 10:00 a.m. – 4:00 p.m., Bluefield College, Bluefield, VA.
15–17 March: NCComicon Oak City, Raleigh Marriott City Center, 500 Fayetteville St, Raleigh, NC. End-cap exhibitor table. This is a dry run for getting a vendor table at WorldCon in 2021, so please stop by and make my day! 22–24 February: MystiCon science fiction/fantasy convention, Holiday Inn Tanglewood, Roanoke, VA. Guest author. 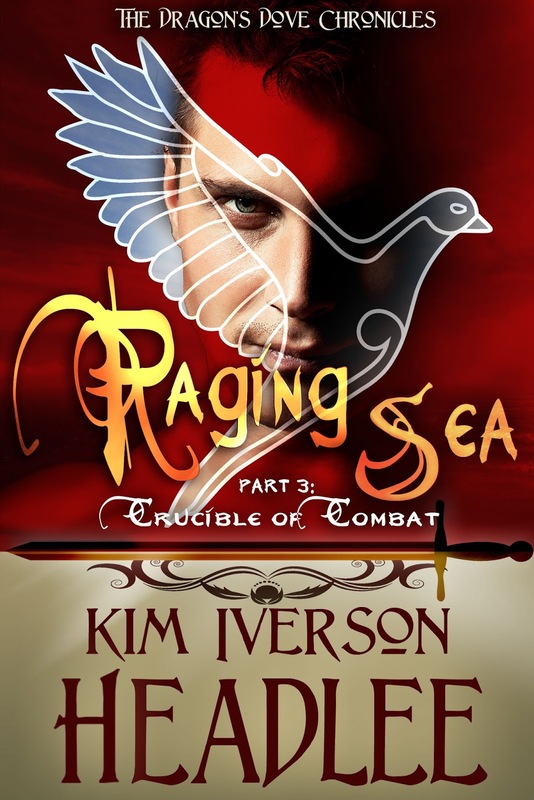 Raging Sea book launch party 8 p.m. Sat. 2/23 in the Con Suite! Other program participation: Building Character (Fri. 2/22); Author Dating Game, Successful Indie Publishing, and Getting Combat Right (Sat. 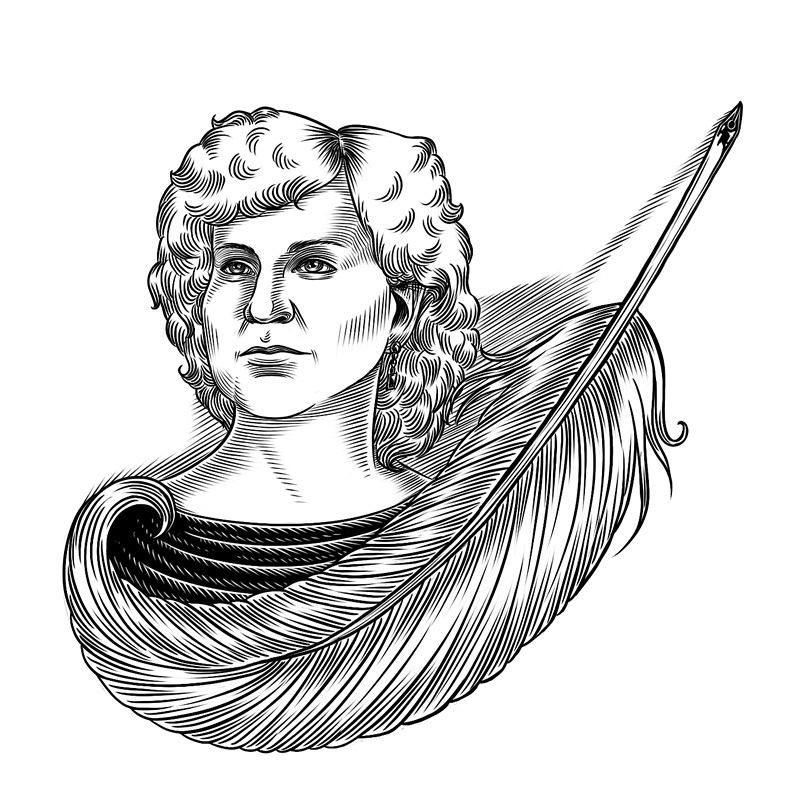 2/23); The Business of Writing: Publishing Your E-book (Sun. 2/24). 8–10 February: Farpoint science fiction/fantasy convention, Delta Hotels Baltimore Hunt Valley (a.k.a. "Hunt Valley Inn" regardless of parent hotel chain :D), Hunt Valley, MD. Vendor table. Join me at the Book Fair outside the Hunt and Valley ballrooms, Friday, Feb. 8, 10 p.m.–midnight and be the first to see my new novel, Raging Sea! 26 January: Agile Writers Con, Richmond Airport DoubleTree, 445 International Center Drive, Richmond, VA. Presenting a Business of Writing lecture geared toward publishing your e-book. 11–13 January: Illogicon VIII, Embassy Suites at the Raleigh-Durham Airport/Brier Creek, 8001 Arco Corporate Dr, Raleigh, NC. Guest author and dealers' room vendor. Program participation: The Business of Writing solo presentation; panels for Writing the Magical and Less Magical, Curses!, the Business of Publishing; and moderating the Historical Fantasy Authors round table. 7–9 December: Marion Christmas Market, Friday noon – 5 p.m., Saturday 10 a.m. – 5 p.m., Sunday 10 a.m. – 3 p.m.; The Wayne C. Henderson School of Appalachian Arts, 203 N Church St, Marion, VA.
24 November: BW Country Store Small Business Saturday multi-author, multi-crafter event inside the gift shop, 12 noon – 4 p.m., Big Walker Lookout, Wytheville, VA.
10–11 November: Myrtle Beach Mythical & Medieval Fest, RH Acres, 3809 Socastee Blvd, Myrtle Beach, SC. This is a nonprofit, rain-or-shine event, so please don't let the wet stuff deter you! The featured charity, Caleb's Dragonfly Dreams, supports children residing in shelters or group homes who have been abused, abandoned, or neglected. 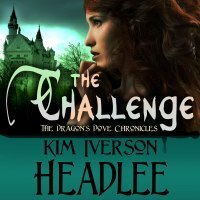 8 November (online) article "Dreams, legend intertwine to write Headlee's stories" in the Princeton Times (Princeton, WV). 6 November: 9:30 – 10:45 a.m. Writing presentation and book signing, Basic Sciences Building, Room 111, Bluefield State College, Bluefield, WV. 28 October: BW Country Store "Meet the Author" book signing, 11 a.m. – 3 p.m., Big Walker Lookout, Wytheville, VA.
3 October: Olde Magick Ways cultural gift shop "Meet the Author" book signing, 6 p.m., 4763 US Highway 17 Bypass South, Murrells Inlet, SC. CANCELLED in aftermath of Hurricane Florence. 15 September: Art at the Crossroads street fair, 1 – 6 p.m., Main Street, Wytheville, VA. CANCELLED due to Hurricane Florence. 8 September: Olde Salem Days, Main Street, Salem, VA. My booth—one among 500 vendors—will be located at 121 West Main Street, more toward the center of the event than last year. 12 August: BW Country Store "Meet the Author" book signing, 11 a.m. – 3 p.m., Big Walker Lookout, Wytheville, VA.
4 August: Big Lick Comic-Con, 11 a.m. – 6 p.m., The Berglund Center, 710 Williamson Road, Roanoke, VA.
6–8 July: Vendor table in the Maryland Hallway at Shore Leave 40, Delta Hunt Valley by Marriott, Hunt Valley, MD. Hours: 2-8 p.m. Friday, 10 a.m. - 6 p.m. Saturday, 10 a.m. - 4 p.m. Sunday. Special media guest on 7 July only: William Shatner! 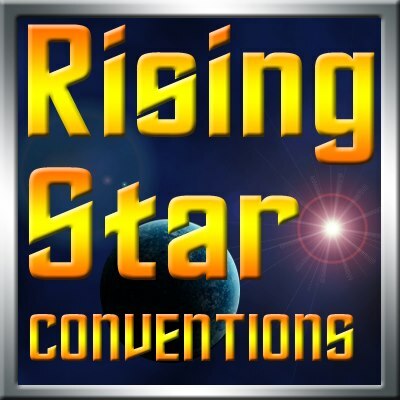 I will be giving my Business of Writing presentation on Saturday morning, moderating the panel "What I Learned about Writing Novels by Binge-Watching...", and participating in the panels "Indie Publishing 101" and "Star Trek: Deep Space Nine 25th Anniversary Retrospective." 26 June: Business of Writing presentation and book signing, 5:30 – 6:30 p.m., Craft Memorial Library, 600 Commerce St, Bluefield, WV. 16–17 June: Craft Bazaar at the Chautauqua Festival; 10:00 a.m. – 6:00 p.m. Saturday 16 June, noon – 6:00 p.m. Sunday 17 June; Elizabeth Brown Memorial Park, 250 S 4th St, Wytheville, VA.
25–28 May: BaltiCon science fiction/fantasy convention, Renaissance Baltimore Harborplace Hotel, 202 East Pratt Street, Baltimore, MD. Dealer table. 20–22 April: RavenCon literary convention, Doubletree Hotel, 50 Kingsmill Rd, Williamsburg, VA (yes, the same hotel used for MarsCon; this is really good for piling up frequent-sleeper points :D). Guest author and Artist/Author Alley vendor. Program participation: The Unlucky Panel (about the number 13) and reading an excerpt from one of my novels on Friday 4/20/18; Package Your Book to Sell, Killing Me Softly (depicting gore in fiction), and Copyright and Creative Commons for Literature on Saturday 4/21/18. 14 April: A Celebration of Appalachia, 10:00 a.m. – 4:00 p.m., Bluefield College, Bluefield, VA. I could have done without the wind, but other than that the weather behaved itself this year! 7 April: Roanoke Author Invasion, 10:00 a.m. – 4:00 p.m., Holiday Inn Tanglewood, Roanoke, VA (yes, the same hotel used for MystiCon :). 7 March: Olde Magick Ways cultural gift shop "flash" book signing, 6 p.m., 4763 US Highway 17 Bypass South, Murrells Inlet, SC. 23-25 February: MystiCon science fiction/fantasy convention, Holiday Inn Tanglewood, Roanoke, VA. I am slated Friday evening to present my Business of Writing interactive lecture and a reading from Raging Sea, and on the Astrology and Tarot in Writing panel; signing my books Saturday evening, and participation in the Author Dating Game (Saturday) and as an "editor" in Allen Wold's writing workshop (Saturday and Sunday), plus Sunday's Epic Scale Fiction panel. 9–11 February: Farpoint science fiction/fantasy convention, Delta Hotels Baltimore Hunt Valley (a.k.a. "Hunt Valley Inn" regardless of parent hotel chain :D), Hunt Valley, MD. Guest author and vendor table. Program participation: the Book Fair; Star Trek: DS9 at 25; The Shifting Landscape of Publishing; and Gender Bending. 12–14 January: MarsCon science fiction/fantasy convention, Doubletree Hotel, 50 Kingsmill Rd, Williamsburg, VA. Guest author and vendor table in Artist/Author Alley. Program participation: Ethics in Young Adult Fiction; The Business of Writing: An Introduction, The Business of Writing: Diving Deeper; Research, Point of View, and Filtering; Finance for Writers; Writing Major Minor Characters; The Name Came First. 24–26 November: Chessiecon 2017, fantasy/sci-fi literary con, Radisson North Baltimore Hotel, 2004 Greenspring Dr, Timonium, MD. Vendor table, and reading from the latest installment of Raging Sea. Other program participation TBA. 11–12 November: Myrtle Beach Mythical & Medieval Fest, RH Acres, 3809 Socastee Blvd, Myrtle Beach, SC. 28 October: NRCC Comic-Con 2017, New River Community College, Edwards Hall, 5251 State Rd 373, Dublin, VA: vendor table; presenting The Business of Writing: An Introduction. 12 October: Presenting the Business of Writing: Diving Deeper to the authors' group meeting at the Raleigh Court Library, 7 p.m., 2112 Grandin Rd SW, Roanoke, VA.
7 October: BW Country Store "Meet the Author" book signing, 11 a.m. – 3 p.m., Big Walker Lookout, Wytheville, VA.
23 September: Fredericksburg Independent Book Festival, Riverfront Park, Sophia Street, Fredericksburg, VA.
16 September: 2nd Annual Art at the Crossroads street fair, 11 a.m. – 4 p.m., Main Street, Wytheville, VA. I will be located across Main Street from the Bolling Wilson Hotel. 9 September: Olde Salem Days, Main Street, Salem, VA. My booth—one among 500 vendors—will be located at 208 West Main Street, same as last year. 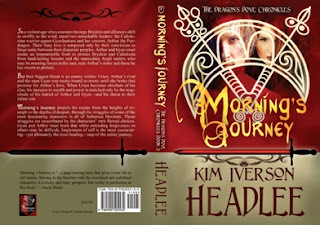 4 September: Connecticut Renaissance Faire, "Meet Author Kim Headlee" special book signing, 1 – 3 p.m., 122 Mack Rd, Lebanon, CT.
27 August: BW Country Store "Meet the Author" book signing, 11 a.m. – 3 p.m., Big Walker Lookout, Wytheville, VA.
10 August: Presenting the Business of Writing: An Introduction to the authors' group meeting at the Raleigh Court library branch, Roanoke, VA.
14–16 July: ConGregate 4/DeepSouthCon 55, Radisson Hotel, High Point, NC: signing my books Saturday and Sunday; presenting my Pictish Art lecture and reading an excerpt from one of my books Friday night; panel member of Mixing Historical Research and Genre Fiction, And More Geeky Rants, and The Dichotomy Between Good and Evil on Saturday. 7–9 July: Vendor table in the Maryland Hallway at Shore Leave 39, Hunt Valley Inn, Hunt Valley, MD. 23 June: Chautauqua Festival Authors' Fair; 10:00 a.m. – 5:00 p.m. outside the Wytheville Community Center, Wytheville, VA.
19 June: Artisan of the Day at the Chautauqua Festival; 10:00 a.m. – 4:00 p.m. outside the Wytheville Community Center, Wytheville, VA.
17–18 June: Craft Bazaar at the Chautauqua Festival; 10:00 a.m. – 6:00 p.m. Saturday 17 June, 10:00 a.m. – 6:00 p.m. Sunday 18 June; Wytheville Community Center, Wytheville, VA. NOTE: The Saturday–Sunday operating days and hours during the first weekend of Chautauqua are new for 2017. 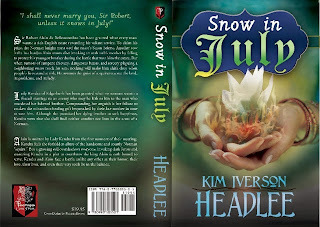 11 June: BW Country Store "Meet the Author" book signing, 11 a.m. – 3 p.m., Big Walker Lookout, Wytheville, VA.
20 May: The Robin Hood Springtime Festival, "Meet Author Kim Headlee" special book signing, 1 – 3 p.m., 300 Washington Avenue, North Haven, CT. Weather willing, I plan to sell & sign my books all throughout the day. 13 May: BW Country Store "Meet the Author" book signing, 11 a.m. – 3 p.m., Big Walker Lookout, Wytheville, VA.
27 April: Lecture at Bridgewater College, 7:30 – 8:30 p.m., Bridgewater, VA (near Harrisonburg). I will be presenting a special one-hour version of parts 1 and 2 of my Business of Writing workshop. 22 April: Booksigning at Chapters Bookshop, 11:00 a.m. – 3:00 p.m., Galax, VA.
TO BE RESCHEDULED due to inclement weather. 8 April: A Celebration of Appalachia, 10:00 a.m. – 4:00 p.m., Bluefield College, Bluefield, VA.
18 March: Presentation of The Business of Writing: Diving Deeper at the Wytheville Public Library, 10:00 a.m. – 2:00 p.m., Wytheville, VA.
TO BE RESCHEDULED due to a death in the family. 4 March: Presentation of The Business of Writing: An Introduction at the Wytheville Public Library, 10:00 a.m. – 2:00 p.m., Wytheville, VA.
24-26 February: MystiCon, Holiday Inn Tanglewood, Roanoke, VA: Confirmed as a guest-author; program participation includes panels "Honor in the Verse" (honor in science fiction & fantasy), creating film adaptations, epic-scale fiction, "I Must Create a [Mythology] System," and collaborating in a shared universe. 17–19 February: Farpoint science fiction/fantasy convention, Radisson North Baltimore Hotel, Timonium, MD: vendor table in the hotel's atrium, which is open to the public. 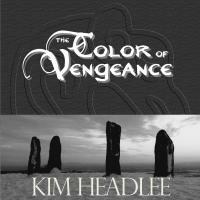 13–15 January: MarsCon science fiction/fantasy convention, Doubletree Hotel, Williamsburg, VA. My full programming schedule includes both hours of my Business of Writing workshop and a special presentation about ancient Pictish art in Scotland; the list of panels is far longer than I have the inclination to list here! 3 December: Price's Fork Elementary School Christmas Bazaar, Blacksburg, VA.
25–27 November: Chessiecon 2016, Baltimore, MD, Radisson North Baltimore Hotel. The Business of Writing workshop parts 1 and 2. Other program participation TBA. 29 October: NRCC Comic-Con 2016, New River Community College, Dublin, VA: vendor table, and presenting The Business of Writing workshop, parts 1 & 2 (or as far as I can get in 90 minutes), as well as selling and signing my books. 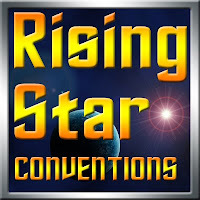 21–22 October: Rising Star 25, Bluefield State College, Bluefield, WV. Presenting my Business of Writing workshop, part 1, as well as selling and signing my books. 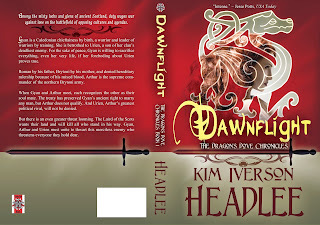 16 October: Connecticut Renaissance Faire, "Meet Author Kim Headlee" special book signing, 1 – 3 p.m., 300 Washington Avenue, North Haven, CT.
9-16 October (online): Virtual FantasyCon 2016. Events conducted throughout the week on Facebook for various subgenres of Fantasy fiction. 9 October: BW Country Store "Meet the Author" book signing, 11 a.m. – 3 p.m., Big Walker Lookout, Wytheville, VA.
1 October: Media Reunion, Holiday Inn - Valley View, 9 a.m. – 5 p.m., 3315 Ordway Drive, Roanoke, VA.
10 September: Olde Salem Days, Main Street, Salem, VA. My booth (one among 500 vendors!) will be located at 208 West Main Street. 4 September: BW Country Store "Meet the Author" book signing, 11 a.m. – 3 p.m., Big Walker Lookout, Wytheville, VA.
27 August: 1st Annual Art at the Crossroads street fair, 11 a.m. – 4 p.m., Main Street, Wytheville, VA. I will be located near 201 West Main Street. 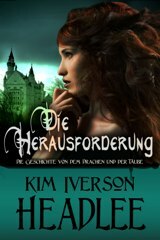 22 August (online): Guest post titled "Twitter Marketing for Authors" on Romance University blog. 21 August: BW Country Store "Meet the Author" book signing, 11 a.m. – 3 p.m., Big Walker Lookout, Wytheville, VA.
6 August: Author Visit and Friends of the Library Book Sale, Wytheville Public Library, 10:00 a.m. – 2:00 p.m., Wytheville, VA.
29-31 July: US 21 Road Market, a 110-mile, multistate yard sale from Wytheville, VA to Harmony, NC. My booth is set up outside the Lakes to Florida Grill, Rt. 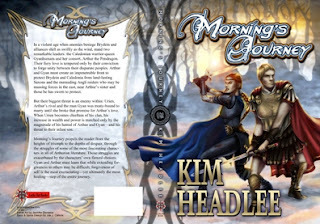 21, Wytheville, VA.
22–23 July: 2016 Patchwork Quilters Jubilee, Graham Middle School, Bluefield, VA.
4 July (online): Listed as "One of 10 Fantasy Authors You Want to Meet" at the 2016 Connecticut Rennaisance Faire. 24–25 June: Craft Bazaar at the 2016 Chautauqua Festival; 12:00 noon – 8:00 p.m. Friday 24 June, 10:00 a.m. – 8:00 p.m. Saturday 25 June; Wytheville Community Center, Wytheville, VA.
23 June: Featured member at the Black Horse Artisan Guild, 115 E Main St, Wytheville, VA, 10 a.m. – 12 noon. 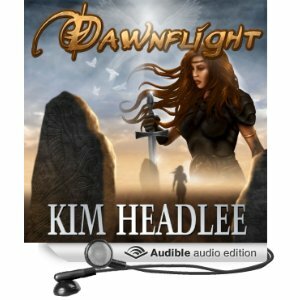 22 June: Artisan of the Day at the 2016 Chautauqua Festival, 10:00 a.m. – 4:00 p.m.
4 June: Family Day at Wolf Creek Indian Village, Bland, VA.
24 May: Public celebration & book signing of King Arthur's Sister in Washington's Court and other books by Kim Iverson Headle, 6 – 8 p.m. at the Black Horse Artisan Guild, 115 E Main St, Wytheville, VA.
12 April (online): King Arthur's Sister in Washington's Court by Mark Twain as channeled by Kim Iverson Headlee announced as the winner of the 2016 IBPA Benjamin Franklin Gold Medal for Science Fiction & Fantasy! 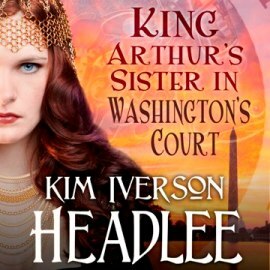 22 March (online): King Arthur's Sister in Washington's Court by Mark Twain as channeled by Kim Iverson Headlee announced as a finalist for the 2016 IBPA Benjamin Franklin award for Science Fiction & Fantasy. 19 March: 9:00 a.m. – 4:00 p.m., Virginia Festival of the Book Fair, Omni Hotel Atrium, 212 Ridge McIntire Road, Charlottesville, VA.
12–14 February: Farpoint science fiction/fantasy convention, Baltimore, MD: vendor table; The Business of Writing Workshop, part 1, and the following panels: Writing the Other (characters dissimilar to yourself), Publishing on a Budget, Enter the Hobbit (swordplay scenes in fiction), Struggles with Building an Audience & Fan Base, and A Charlie Brown Farpoint: 65 Years of Charles Schulz and Peanuts. 17 January (online): Mentioned on Fashionably Frank blog as one of the Go-Getter Ladies to Watch Out For. 15–17 January: MarsCon science fiction/fantasy convention, Williamsburg, VA: The Business of Writing Workshop, part 1, and the following panels: Social Media Etiquette for Authors, Adapting Books to Movies, Paranormal Fiction: Balancing the Line between the Truth and Fantasy. 27-29 November: ChessieCon, Baltimore, MD: The Business of Writing workshop part 1, and the following panels: Women of Camelot, Don't Be That Guy, E-Publishing and Small Presses, A Princess with a Sword is Still a Princess. 17-18 July: Patchwork Quilters' Jamboree, Bluefield, WV: reading from KASIWC. 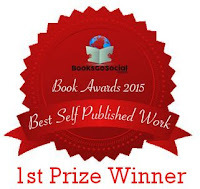 6 July (online): Liberty announced as the winner of the 2015 BooksGoSocial Best Book award! 21 March: 9:00 a.m. – 4:00 p.m., Virginia Festival of the Book Fair, Omni Hotel Atrium, 212 Ridge McIntire Road, Charlottesville, VA.